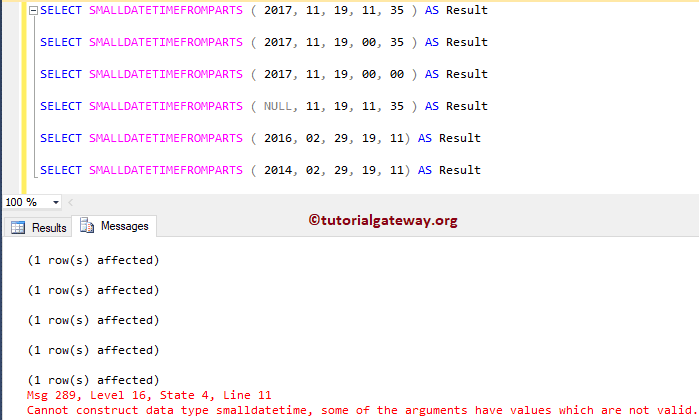 SQL SMALLDATETIMEFROMPARTS function is one of the Date and Time Function, which will return a small date and time value from the users specified parts. 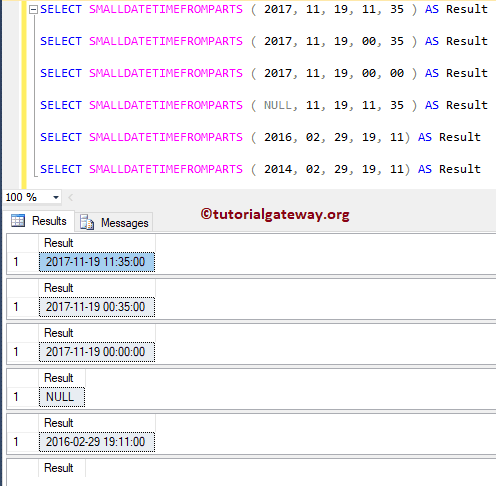 In this article we will show you, How to use the SQL Server Small DateTime from Parts function with practical example. As you can see, this function accepts 5 arguments to built a small date and time. This function returns smalldatetime data type value as output. In this example, we will show you the use of SQL Server Small DateTime from Parts function. It will also explain, what will happen if you pass NULL values, or invalid arguments to this function.